Yes. I will look into it. Eventually I can solve it. Hallonkaka wrote: Your addons, both VCB and MPA, gives me this weird issue where my tooltip disappear whenever something happens in your addons, for example. 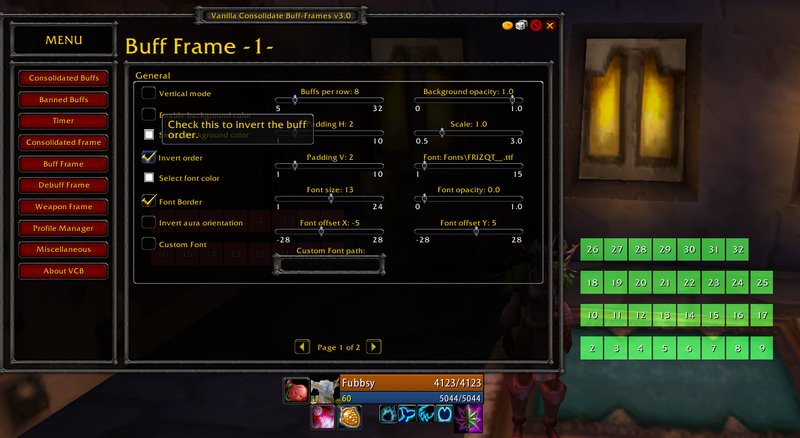 if i gain or lose a buff, like mount, the tooltip disappear, so im im looking at an item and something happens in the addons, i have to re-hover the item to see the tooltip again. Im using Tinytip for my tooltips, but this happens even without it activated. it took me 40min of manually activating and disabling addons one by one to find out these two addons from you. Do you know what might cause this? That way you can have the newest aura always in the first slot. What you see in the unlocked mode is, if you had 32 auras on you. But the behavior you describe is intended. i have a problem with the timer text. 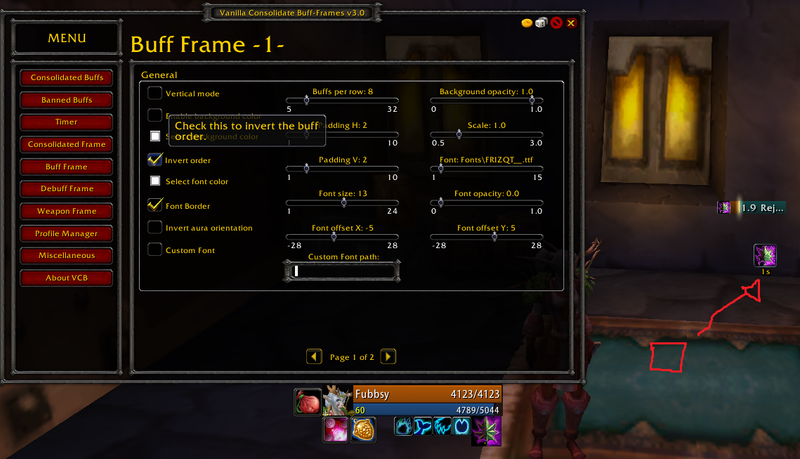 i cant get it to work and it its the main reason i installed this addon. 1) for some reason there will always be a black border around the timer text. if i change the font of the timer, the border will go away but then magically reappear. those 3 lead to the problem you see in the picture: i can never see the full text, because it gets too big. i already increaced the buff bar itself in size but it doesn't help much. how do i use a function? 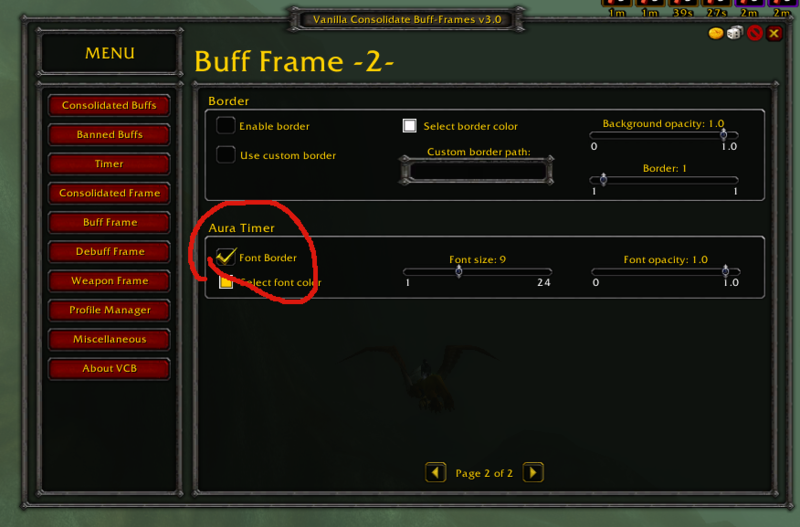 This option is available in the consolidated auras and debuffs as well. There you can also decrease its size. Lardin wrote: how do i use a function?